Oblivious of what to expect I kept stepping ahead in Gandikota, a small village in Kadapa district of Andhra Pradesh. 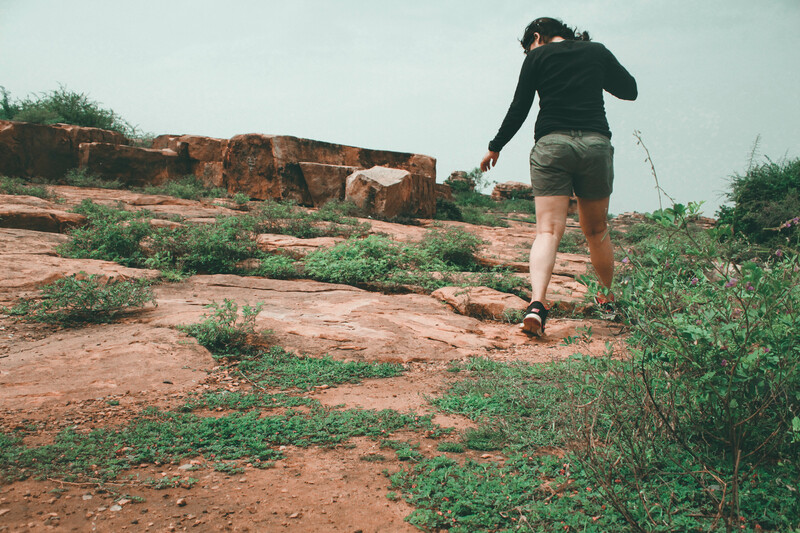 In the blazing sun, my steps paced up as I saw the glimpse of Gandikota Fort. A small tomb on one side and a gigantic gate on the other side, I made my way in, now assured that I am in for a grand affair. A small Hanuman temple right at the entrance confirmed the harmonious coexistence of different religions in this small village. 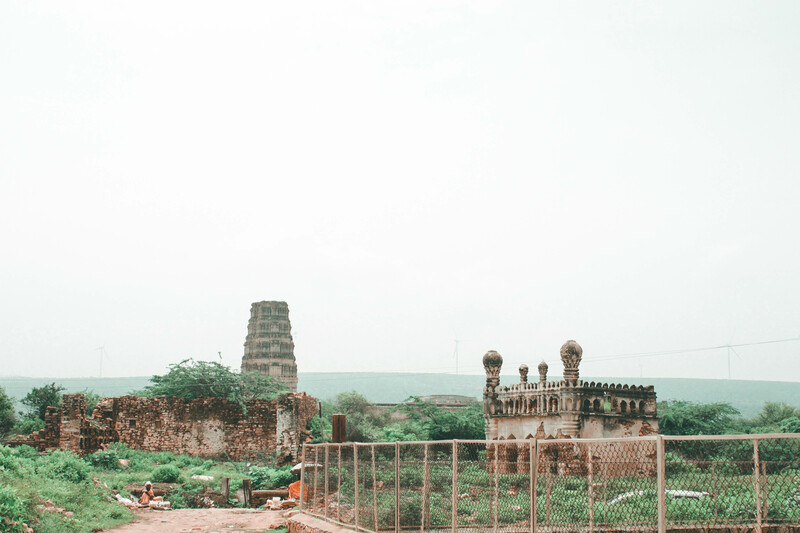 I kept walking my way through the ruins of Gandikota to get the whiff of the heritage and its stories. People in high volume visit this place to witness the spectacular gorge formation, courtesy river Pennar that cuts through Erramala hills. The gorge has gained a lot of popularity as the Hidden Grand Canyon of India. 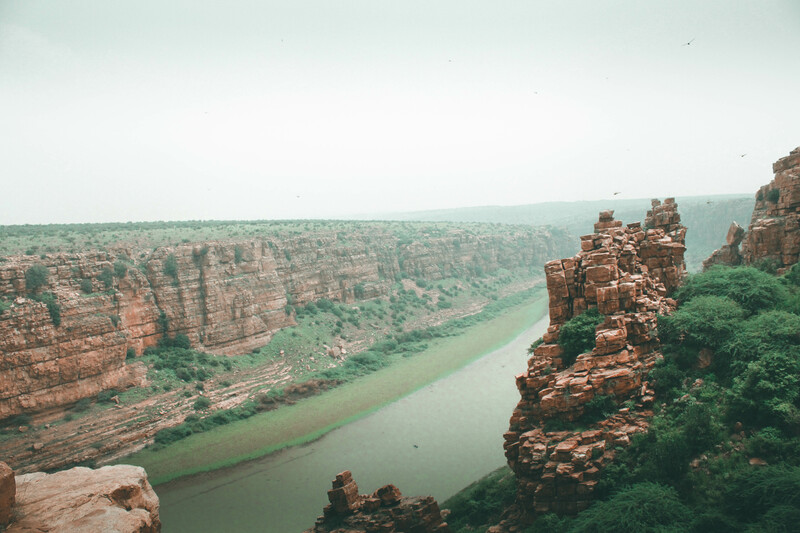 And the magnificent Gandikota Fort royally perches at the top of this gorge. 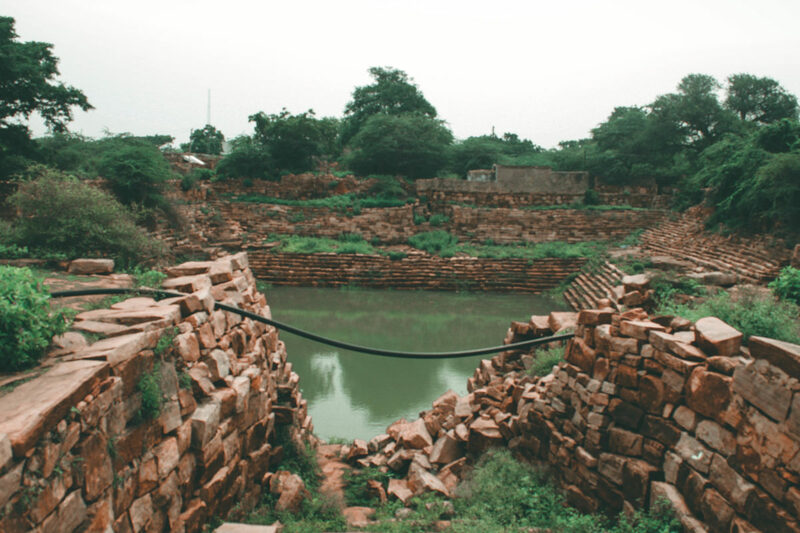 A portmanteau of Gandi (gorge) and Kota (home), Gandikota fort was built in 13th century by the Kappa king. Both Gandi and Kota are words form the regional “Telugu” language. 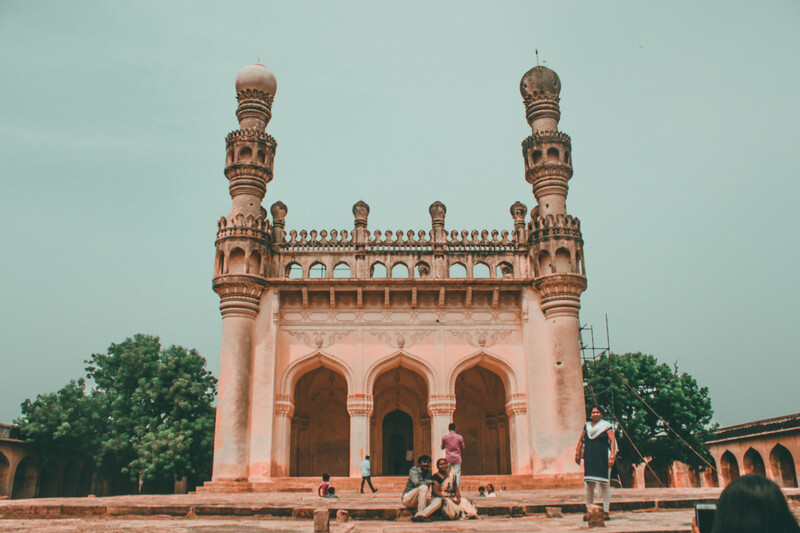 Made of red sandstone and still standing tall this fort has witnessed the historical events of Western Chalukyas, Kakatiya dynasty, Vijayanagar reign and Qutub Shahi times. 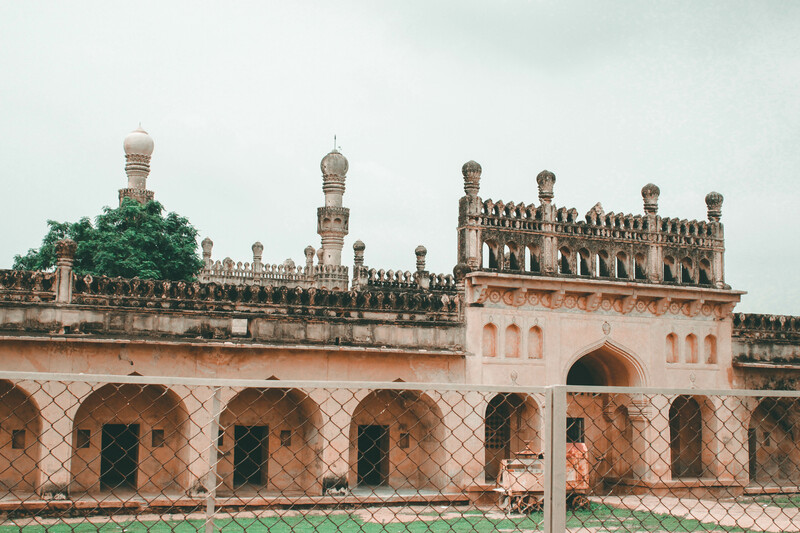 Gandikota Fort is sprawled across miles. 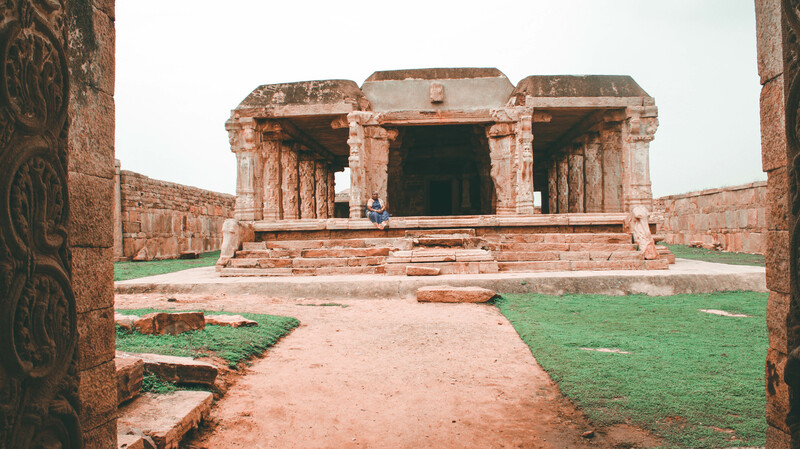 The intricately carved palaces, the stepwell and the perennial springs for watering vegetation are live proof of how these ruins have once seen life. 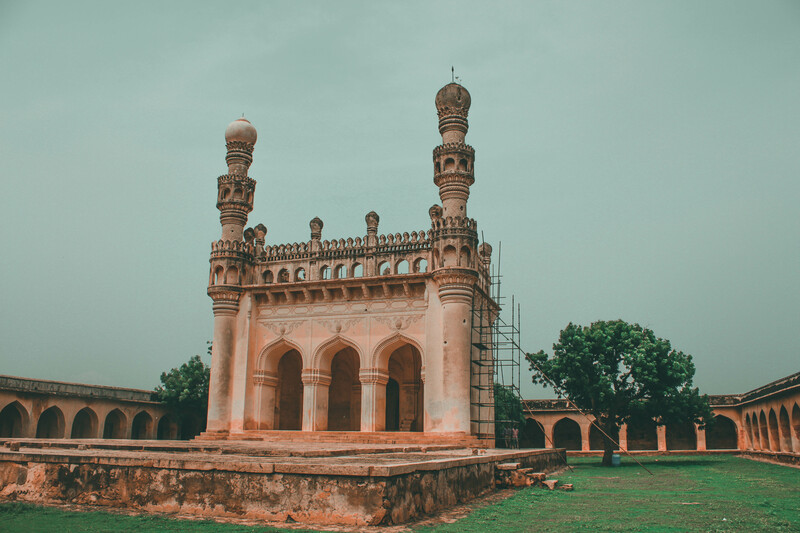 During the times of Vijaynagar dynasty, when Pemmasani Timmanayudu took over the ruling, he made the fort impregnable. 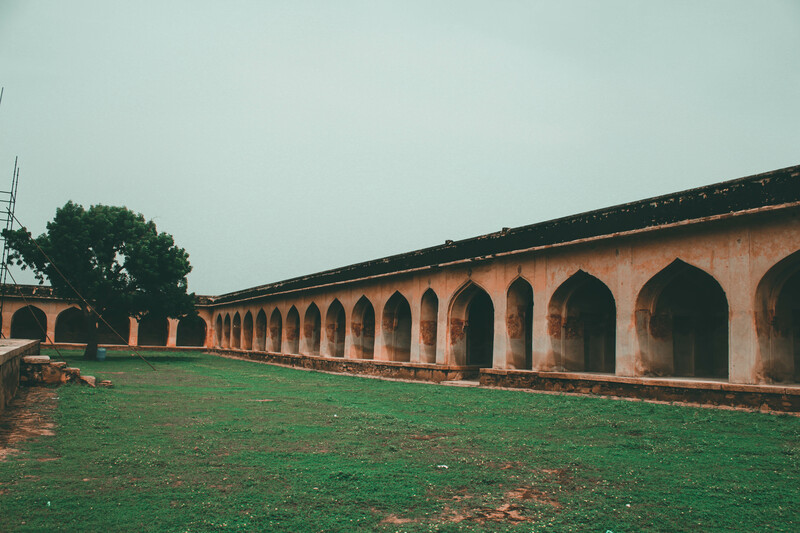 The fort is guarded with a 5-mile perimeter wall which ensures protection against any sort of intrusion. The fort was later taken over by Nayaka dynasty. Lost in my own thoughts and trying to figure out the chronology of various dynasties I walked ahead and saw Charminar. Yes, I thought so until I was told it was Jama Masjid (mosque). Just as you get over the awe of one corner of the fort there is another lined up to awestruck you. Is it really a charminar? I made my way in through a huge multi-arched entrance and the simple yet elegant Islamic architecture of the mosque got me goosebumps. 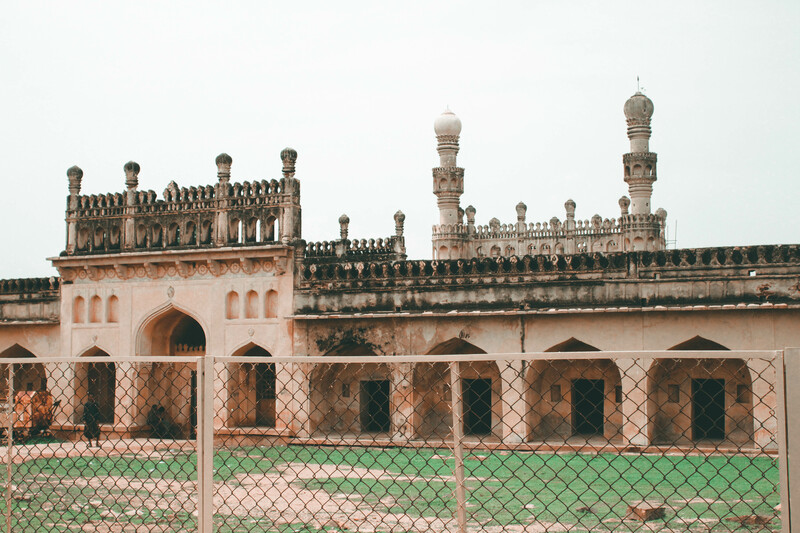 The walls of the mosque look worn out. But in my head, I could see flashes of visuals of the main prayer hall bustling with thousands of people offering prayers, and suddenly everything came alive. Every minaret, arch and brick has some story that was seething within them to burst out. Though the mosque is not in the best of its condition yet it’s simple and elegant Islamic architecture doesn’t fail to bewitch the visitors. As I walked through the entrance towards the main prayer hall I couldn’t help but spot the Gopuram of the Madhavaraya temple. Yet again a temple just next to a mosque standing tall in peace and harmony. I was beaming with happiness. Though my gaze was transfixed on the arches of the mosque, back of the mind I was looking for the gorge. Where is the gorge exactly located? 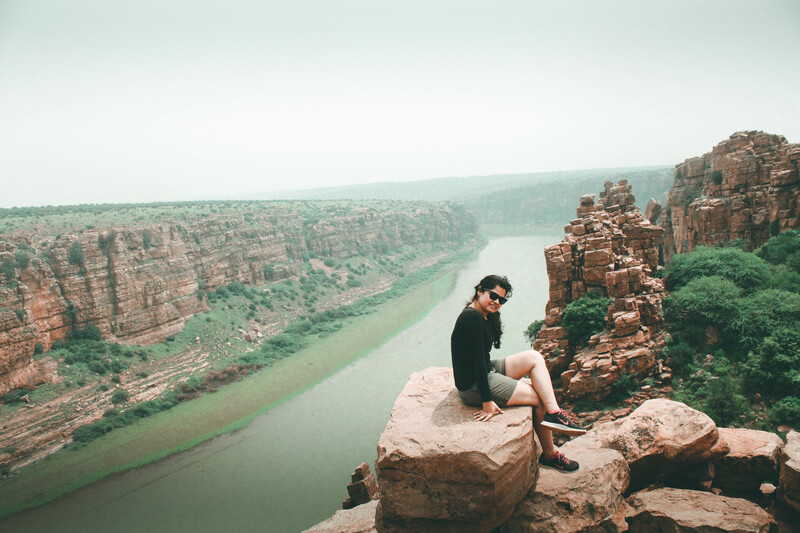 The one which is synonymous to Gandikota, the one which pops up as the first google search result, the one which is also called as the Grand Canyon of India. A constant struggle in my mind as I walked out of the mosque and made my way towards the Madhavaraya Swamy Temple. Madhavaraya Swamy Temple is a captivating play of architecture. As you enter the temple, you would just expect all things normal as the exteriors are not very enticing. But just as you step in you realize how deceiving the exteriors of the temple are. The temple has many sculptures of Hindu Gods and Goddesses. 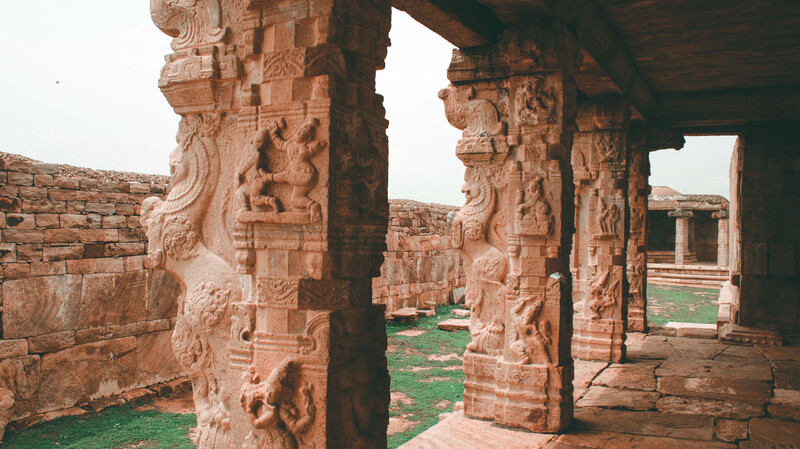 The walls and pillars of the temple have carvings of common people doing everyday chores. 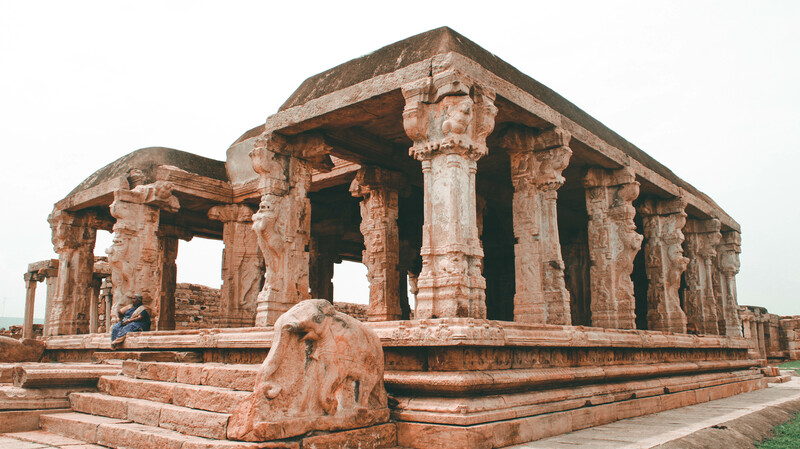 The intricately carved pillars of the temple looked like a preservation site of the life and culture of the old kingdom. The granite walls of the temple seem to hold a lot of stories and secrets. After spending some time inside the temple, I again started pursuing my curiosity about the famous gorge. Just as I moved ahead I saw heaps of people flocked around a specific area. 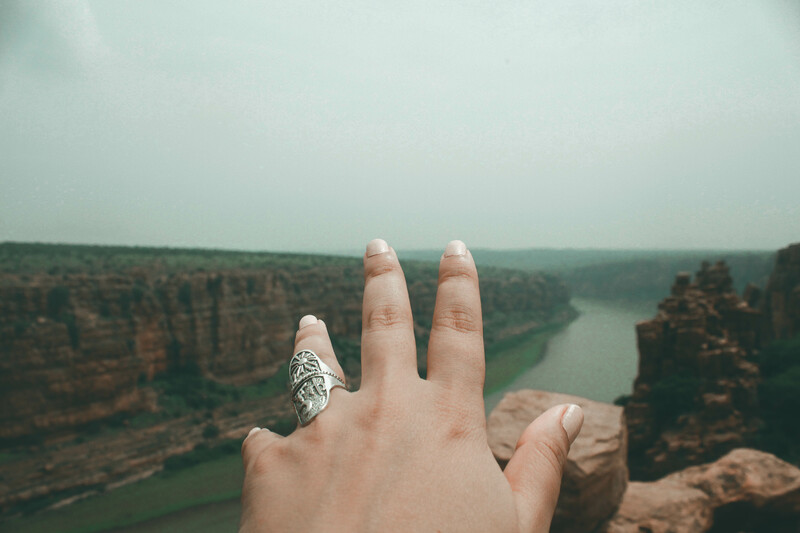 “There it is,” I told myself and strutted towards the gorge. Just as I reached I was bewitched by the site. To see the Pennar river flow peacefully through the crafty cut stone gorge is nothing but an act of artwork. It reminded me of Raneh Falls which I visited during my trip to Madhya Pradesh. Can you imagine that this astounding assemblage of rocks exists because of the continuous flow of Pennar river? It is amazing how this calm green water must have cut the rocks bit by bit to create this unique gorge. During the monsoon, the water level rises up. With more greens around, the view appears to be perfectly balanced. There is nothing to do in the gorge. There are few adventure companies who conduct rock climbing and kayaking in and around the gorge. You can opt for that but I would highly suggest to just perch on one of the rocks and do nothing. Just watch the river slowly move and try to create a new cut on the rocks. If you wish to enjoy a more spectacular view of the gorge, I highly recommend that you come here for the sunrise. The sun rising against the velvety green river and intricately cut rocks is a sight to behold. This fort can be accessed by all the means of transportation available. By air, access is also affordable as Tirupati is the nearest airport to this station. From Tirupati airport, this place is located at 219 kilometres distance. You can hire a taxi from the airport to reach this fort. Tirupati and Jammalamadugu are the nearest railway station to reach this place. Various link road and state highways are crossing the district and thus making a good connectivity to reach Gandikota. The fort is 15 kilometres from Jammalamadugu and 77 kilometres distance from the main district Kaddappa. Choose the time of visit wisely. Gandikota is generally very hot and humid. Make sure to plan your visit during monsoon. 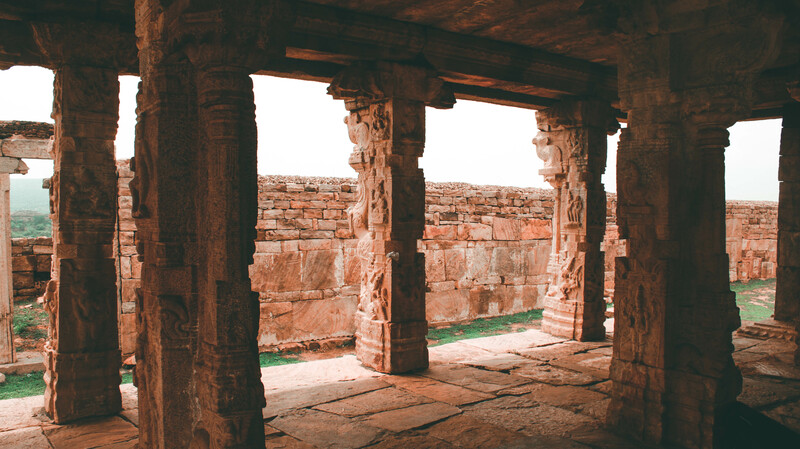 There are not too many accommodation options in Gandikota. Haritha Hotel is the only proper staying option available. It is run by the Andhra Pradesh Tourism. You can also pitch your own tent in the hotel premises by paying a small fee. The hotel staff will let you use the washroom available in the common area. Carry a lot of sunblocks and keep yourself hydrated all the time. In case you want to venture on some adventure you can get in touch with Freakouts Adventure. I did a few adventure activities with them, you can read my experience here. Belam caves are around 60kilometress away from Gandikota. 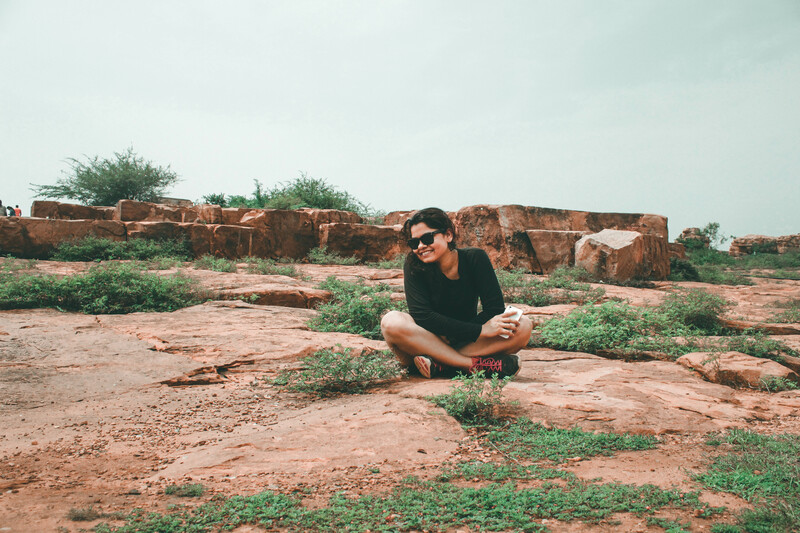 So while you are in Gandikota, spare some time for the caves as well. I had to give it a miss because of the paucity of time. Public transport is a huge issue in Gandikota. It is highly advised that you go there with your own private vehicle. Else you will have to rely on the hotel staff for calling autos everytime you wish to move. However the popular gorge, mosque and temples are at walking distance from the hotel.